See scan - perfect condition and great enamel work. 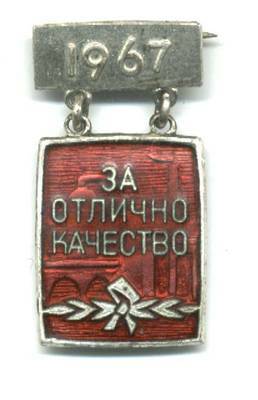 This is a very rare Bulgarian Communist era decoration badge awarded to a limited number of workers for their perfect quality work in the industry area. Scarce collector piece.